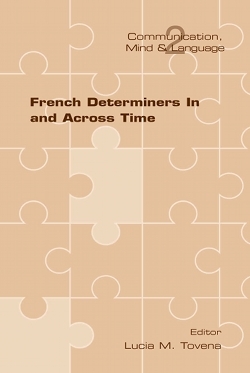 The papers in this volume investigate the semantics of French determiners both from a theoretical and descriptive point of view, covering a time interval that goes from contemporary French back in time to the early centuries of the second millennium and up to Latin. the papers are all informed by the belief that a thorough examination of the evolution of determiners is crucial for understanding the semantic functioning of the systems of determination in human languages. The issues discussed in this volume are central to our understanding of both determiners and, more generally, the interaction between meaning and use across time. they include the role of demonstratives in discourse organisation; the possibility of quantifying over entities and over events; the referential potential of determiners, the type of information they convey and the inferences they trigger; their epistemic and modal status; and the challenges of constituting a database of occurrences of determiners in annotated contexts for synchronic and diachronic studies.